FCH Hotel Expo - Adults Only is a 4* adult only hotel located in Zapopan, Mexico. It features 28 rooms and swimming pools. 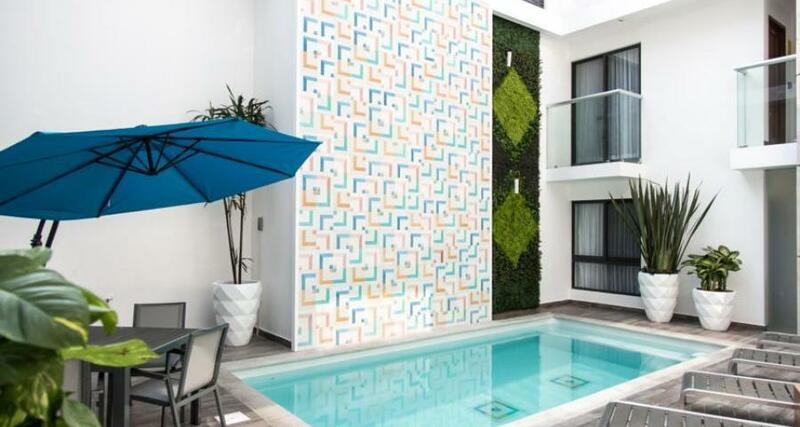 Surround yourself with contemporary details and unique decor at FCH Hotel Expo - Adults Only, a boutique style property with an outdoor pool and a restaurant that serves both Mexican and international cuisine. Located within Residencial Victoria, this Guadalajara property offers convenient access to a local expo center, Plaza del Sol and the World Trade Center. Guests are also provided with complimentary onsite parking and wireless Internet access.